"Apple makes its money off of good products, not off of you"
It hasn't been a great 2018 for Facebook. The company is reeling from several scandals involving fake news, Russian interference in elections, and of course, its ongoing privacy issues regarding Cambridge Analytica. Since the latter was revealed, many people have started a #deleteFacebook movement to protest the company's mismanagement of user data. Count Apple co-founder Steve Wozniak as one of those people. “Users provide every detail of their life to Facebook and… Facebook makes a lot of advertising money off this. The profits are all based on the user’s info, but the users get none of the profits back,” Woz said in an email to USA Today. "Apple makes its money off of good products, not off of you. As they say, with Facebook, you are the product." If that line sounds familiar, it's almost exactly what Apple CEO Tim Cook said in response to the scandal. "The truth is, we could make a ton of money if we monetized our customer -- if our customer was our product," Cook said. "We've elected not to do that." Woz added saying that he would prefer to pay for Facebook if it meant not having his personal data exploited for monetary gain. In fact, Facebook COO Sheryl Sandberg confirmed as much by stating that users would need to pay to avoid having their data used for advertising. 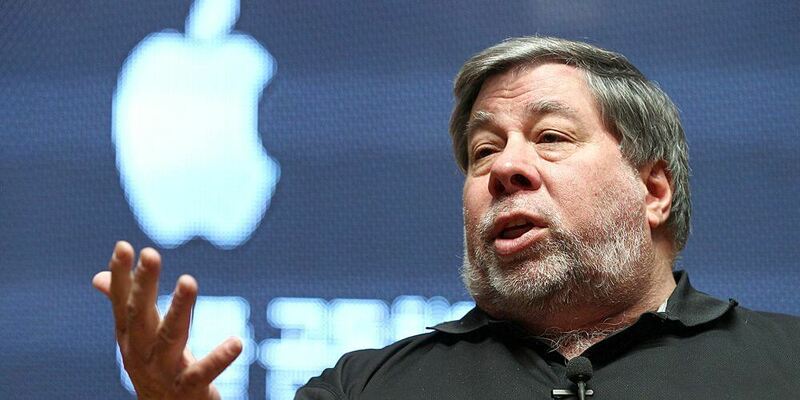 Although Wozniak is no longer working Apple, his comments continues the back and forth between Facebook and Apple in which Apple is trying to position themselves as the bastions of privacy and security. Facebook CEO Mark Zuckerburg responded to Apple's criticism by calling Cook's response as "extremely glib". In Facebook's (and Google's for that matter) perspective, they are providing a free service that is accessible to everyone. Indeed, Facebook's strategy allows people from every economic spectrum to participate and connect with friends and family. Unfortunately, introducing paid version of Facebook to remove data exploitation for ads would disproportionately affect users who could not afford the paid tier and effectively divide Facebook into two. Woz isn't the only high profile user to delete Facebook. Firefox developer, Mozilla, announced that they were removing ads from Facebook after launching a petition for Facebook to change its approach to user privacy. Brian Acton, co-founder of WhatsApp, also encouraged his followers to delete Facebook.